Recycling is the need of the hour and one of the important steps we need to take to save the environment. But businesses too find it useful to run a recycling programme in their workplace to improve efficiency, thereby saving money. The Environment Protection Authority (EPA) encourages recycling as a way of improving resource efficiency that can save money, promote shareholder relations and business reputation and also enrich occupational health and safety management. 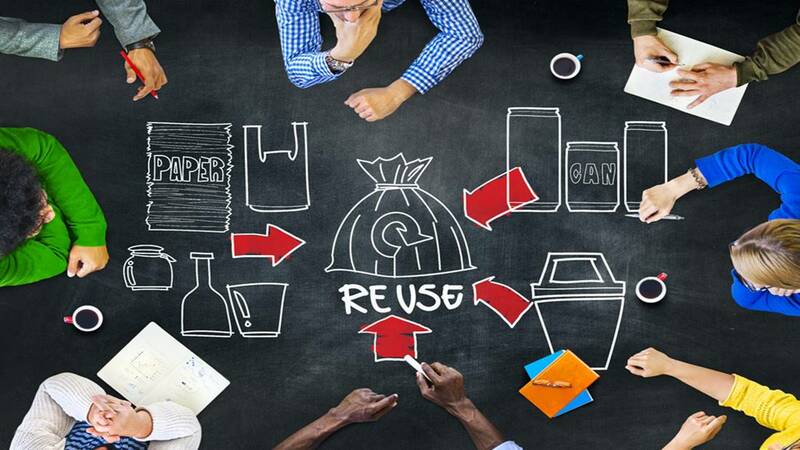 You can explore many ways of recycling to save money for your business and even create new revenue sources. Here are some recycling efforts you might want to incorporate in your business. A lot of waste gets generated in every business and needs to be disposed regularly, which results into a recurring expense. Landfill costs keep rising with every passing year as the amount of waste being dumped into landfills increases. But is really all that you are dumping a waste, or there is there also some retrievable material in it? Remember that mining old landfills is an emerging industry. Recycling can result in recovering some materials that have resale value. Therefore recycling companies charge less for trucking away waste than you may spend for sending the waste to a landfill. Some states in the process of tightening waste disposal regulations are banning a wider range of waste from going to the landfill. Companies need to be updated of these new regulations that come in force from time to time. In fact, setting in place recycling systems in a timely measure that can help avoid litigation-related expenses in the future. E-waste is a key emerging area that needs to be watched. Many companies have realised that they generate a lot of waste paper and cardboard in routine operations. It can be sold for a tidy amount. Similarly cut-offs of copper wiring or piping, steel from light fittings and a lot of other scrap metal is simply disposed by electrical contractors and plumbers. These have hidden value and recycling companies use it to generate income; they are willing to pay for the raw waste material. When waste is properly recycled, it can be transformed into a new product with a price tag. Plastic bottles and containers discarded as waste can be converted into cheaper plastic goods for those who cannot afford expensive products made of virgin plastic. E-waste when separated can provide components for repairs of electronics, computers, printers etc. When you start looking for ways to recycle waste you will be surprised how creative you can be. Companies can use sack loads of shredded paper to ship fragile items instead of using expensive padding material. If you flatten the cardboard cartons, they can be converted into a packing material replacing bubble-wrap and foam. It is environment friendly and a money saving method. So companies must start thinking how best they can use the material they are sending to the bins. While awareness about advantages and the urgent need for recycling and re-use is growing, it will need extra effort, training and an attitudinal change for it to be accepted and practiced universally. But the companies that have shown seriousness about recycling on a sustainable basis have reaped financial benefits from it. That alone should be enough to spread the movement of “Recycle, Re-use and Benefit” to other companies that are onlookers. For effective and sustainable cost reductions & efficiencies that will increase your bottom line, contact the experts at Benchmark Cost Solutions at this number – 1300 170 585. If you prefer, you can also request a call back or write to us at this email address.